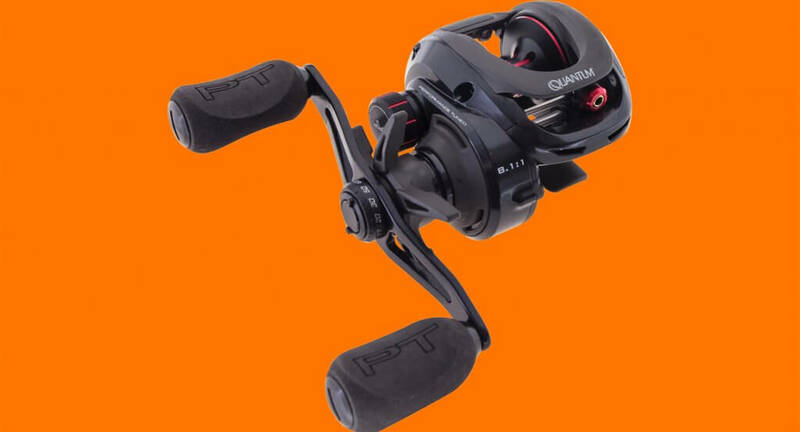 Barra, bass, and cod anglers will salivate at the sight of the new Quantum Smoke S3 Baitcaster reel. The Smoke S3 packs a larger 35.5mm spool into a compact aluminium X-Frame to provide a large line capacity, longer casts, and greater line pick-up with every crank of the power handle. To complement the larger spool, an advanced and lightweight ACS 4.0TM cast control system has been engineered to minimise the amount of energy it takes to get the spool spinning during a cast. This remarkable system also features additional control brakes that disengage at around 5,000 RPMs to maximise casting distance. The Quantum Smoke S3 Baitcaster includes 10 PT Bearings (10+1) and a Zero Friction Design for incredible smoothness. The reel is coated with Saltguard Protection for added durability in the most testing environments and also includes the remarkable Quantum CSC Ceramic-Carbon Drag System with a huge 25lbs of drag pressure.